We've been trying to teach Dawson left and right and he seems to be learning direction really well as evidenced by his play today. 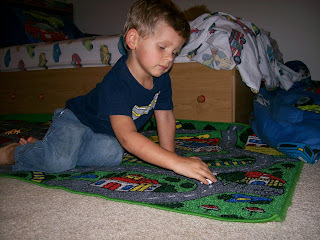 He was in his room playing cars on his road mat and whenever his car came to an intersection, he would say to himself, "Hmm, which way should we go? Left or right?" 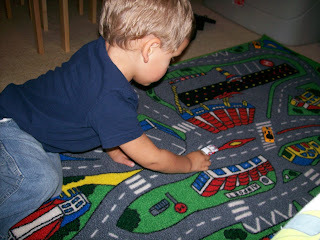 Then he would say right and turn his car right or left and turn his car left.